are so successful that Harvard Medical School clinicians named her "The St. Jude of the Joints." 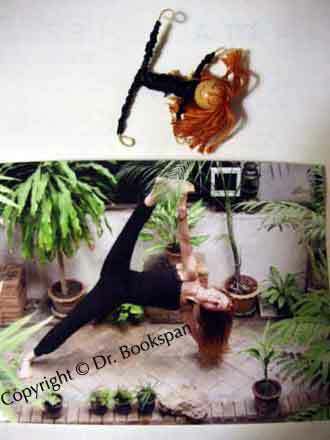 Hello, welcome to my Stretch Class Syllabus page, on my large, no-charge web site, Dr. Bookspan.com. On THIS page: Many stretches are not stopping injury as hoped. It is no mystery. Common stretches often add to injury and posture trouble. People stretch in injurious ways, and use unhealthful movement habits the rest of the time in daily life. My fun active workshops show which stretches help, and which promote the problems you started with or add more. This page gives you information to get the most out of your class. Each of my classes has its own syllabus page. See all classes and links to those syllabus pages on the Classes page. Does This Look Like the Teacher? Why common stretches make pain and posture worse, and what to do instead. There are different functional stretches that apply to daily movement habits. These different stretches build the kind of stretch you need from how you move all day. What good stretches you may be doing in ineffective ways. Stretches to prevent certain injuries and pain, and why some work and some don't. How to re-educate your movement habits to not get tight and sore in the first place. Practice scientific techniques you can easily do at work, at home during everyday movement, and during your training and activities, to fix common problems. 1. Lecture and Practice. The classes I teach at medical conferences and for the Mt. Airy Learning Tree use this format. Lecture with audio-visual supported learning (Power Point presentation) of fun concepts, anatomy, how and why common stretches produce injury, specifics to do instead, discussion, and guided practice of quickly effective techniques under supervision. Much two-way question and answer so that students can understand how to apply concepts, not just do lists of stretches. Banner by AFEM Academy Developmental Projects director Peggy Santamaria. 2. For high level groups, you can have a practical see-and-do intensive. No audiovisuals. Quickly apply concepts to learn healthier stretches. This format includes "Top 10 Smarter Stretches." 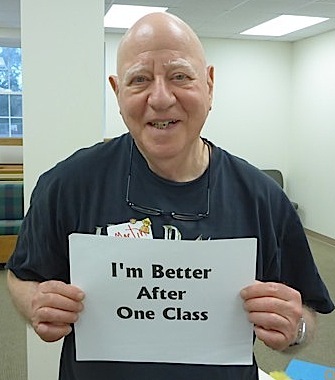 "Dr. Bookspan, Your class as always was wonderful, in class or from the side lines. Since my first stretching seminar with you (years ago) I have been working on and correcting my stretching and body positioning. I have taken your healthier methods of range of motion and am applying it to my day-to-day life while doing normal things I have to do anyway. I have notice that when I am lazy and not holding my body up with muscles I can really feel what you talk about it in minutes, not the pain but the building discomfort that will lead to and cause back pain. I apply it more everyday, getting closer to doing it all well, one day at a time. That is why we practice at everything we do, otherwise, quoting my father, Ward Sr. 'Practice. Otherwise we could all go down to a Seven Eleven and pick up a Black Belt.' Thank you, we really appreciated all the extra help and tips you gave to us before your wonderful seminar. We jumped into our Monday night martial arts class using a few new stretches from your book and can't wait to finish reading the rest of the book and improve our overall stretching and strengthening. / My dad just loved that I quoted him and that his quote will now go on and live in cyberspace." 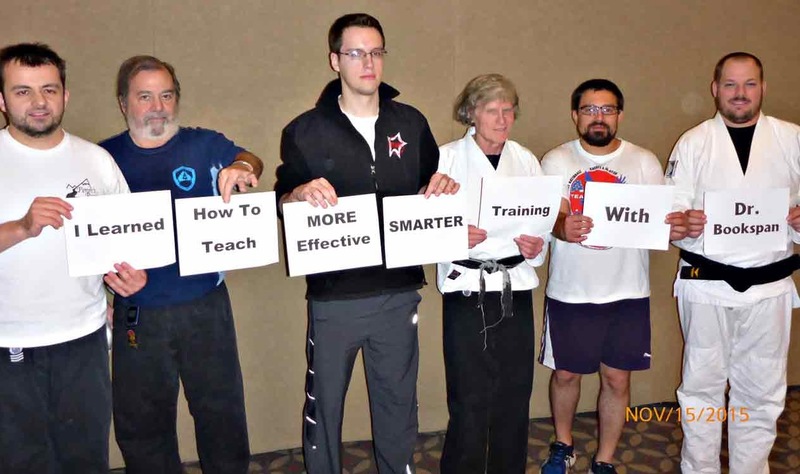 My tired sore Advanced Students at the Black Belt Hall of Fame Class of 2015, who learned teaching methods. All methods are intended to decrease pain and improve function starting as soon as you begin using them. Each technique should make an obvious positive change. If it does not make sense or help, you may not be applying it as intended. Do not do anything that makes pain or reinforces previous bad habits. Understand each thing presented and why it is done - before using it. Pain and tightness may return if you return to habits and exercises that strain muscles and puts joints into unhealthy positioning. Keep thinking and practicing and understanding until healthy motion and needed muscle length becomes natural and the way you move for all daily life. If you want more or less attention, or have special needs, just ask. Eat enough before class, and drink water to have energy to move. Bring water and needed items, for example, asthma inhalers. No chewing gum. 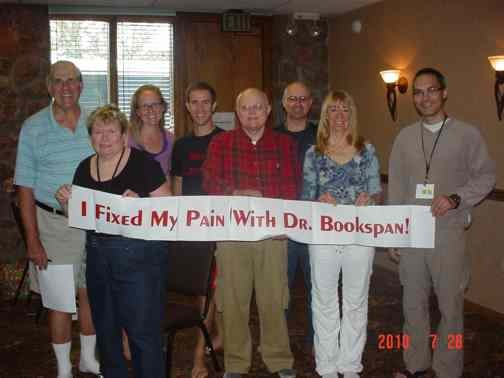 Advise me (Dr. Bookspan) of medical conditions so you can suit the class to your needs. Enjoy learning and stretching. Smile. Relax. Breathe. 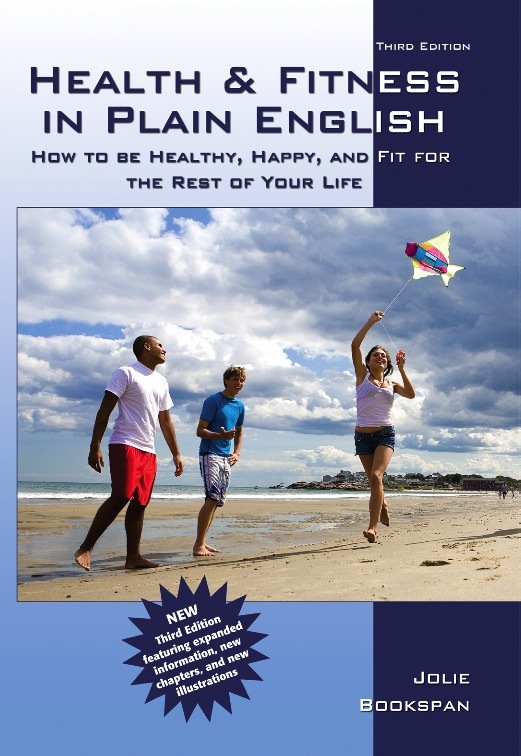 Get your textbooks -"Stretching Smarter Stretching Healthier," "Fix Your Own Pain Without Drugs or Surgery" and "Health & Fitness in Plain English, THIRD edition" plus others. Available in class at discount. To order anytime, click: Books. 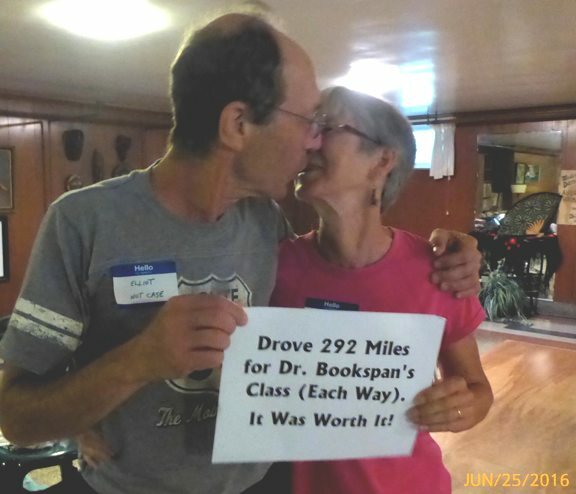 Take other workshops and classes for new information and to refresh and practice. Click the link: Classes. Schedule follow-up appointment, if needed. Information about rare appointment possibilities on the Clinical page. Certificate of completion for top students, and instructor training available. Then read more about Fixing Bad Stretching - Which Stretches Harm and Which Help. This page also has the 6 QUICK Stretches that you can do every day. If you are curious about hamstrings, my years of research findings are presented on my web page all about Hamstrings. "I read your whole site, every word. It was like an oasis in a desert." I wrote The Fitness Fixer column for Healthline from 2006 to 2010. After the column ended, Healthline removed almost all the photos and illustrations that I had made which showed concepts for each article, all the short videos I made for the articles, and all the reader comments and my replies that added helpful info. Then they started removing my articles and redirecting links from those articles to their ads to sell their products, or to no pages at all. A list of helpful Fitness Fixers for Stretching from my column used to appear right on this page. Now they are gone but you can come learn them in my classes, private appointments, or through on-line personal consult. For more about The Fitness Fixer column, here is the Index for The Fitness Fixer - which explains all, with an alphabetic list of many of the nearly 800 articles by topic, plus two archives where sone of the articles have been preserved, at least in part. 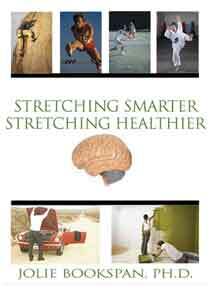 Class books with information and stretches are available at discount in class for class participants: "Stretching Smarter Stretching Healthier" "Fix Your Own Pain Without Drugs or Surgery" and "Health & Fitness in Plain English, THIRD edition" plus others. To order anytime, click: Books. To help you remember, here is a free summary of what we learned - Fixing Bad Stretching - Which Stretches Harm and Which Help. This page also has the Six QUICK Stretches to do every day. Get healthy range of motion and good exercise built into all you do in ordinary daily life. Free: Fitness as a REAL LIfestyle. 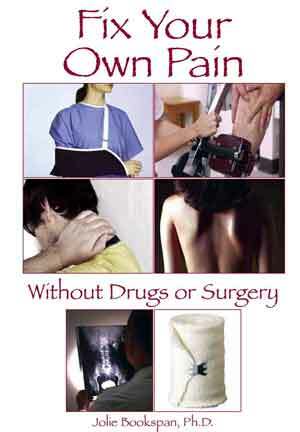 See my Clinical page for no-charge summary articles for fixing specific pain of the back, neck, knees, and others: DrBookspan.com/clinical. If you are interested in using healthy movement for Yoga, here is my page on preventing yoga injuries, and doing Smarter Healthier Yoga WIthout Dogma. For wonderful relaxing stretching, try a Thai Massage with me: Thai Massage. For students wanting more, the book that covers how to do higher level exercise and strength of both mind and body, covering spirit, breathing, mental discipline, with chapters on stretch, injuries, abs, strength, and the most about nutrition, take a look at Healthy Martial Arts. It does not teach martial arts, it is how to apply that discipline to all you do: Books. Keep in touch with your successes and questions. For private appointments to work with me further: See my Clinical page. Academy Certification and Instructor training may be earned by top students through guided study with me (Dr. Bookspan). First, learn about the Academy, through the above link, then check certification instructions and classes on the Class page. I learned how some traditional exercises are not performed correctly. I will be better able to educate others with better technique. The workshop was very practical and fun! Something for everyone. I learned much better stretches, and will be able to prevent future injuries. I recommend this workshop. It was hands-on. I learned better technique; how to heal and prevent injuries. Really great concept. Want more. Why would anyone attend a seminar, lecture, or class and be upset when the speaker talked about the subject? Did they really expect you to say, “Yeah, I was just kidding. All your old exercises are just fine. Just do more of them and you’ll be okay”, or what? Wow! This was great. I definitely corrected some injurious things that I do. I will pass the information learned to others. Excellent! Project 6 on the Projects page. ram them down people's throats. Information, drawings, and photos are © protected copyright. To cite this article or any parts, put author Dr. Jolie Bookspan, and link to this site DrBookspan.com at the top and bottom of your reprinting. A suggestion to get my books is also nice. No Derivative Works License means no changes to content, wording or links. Drawings of Backman!™ copyright © by Dr. Jolie Bookspan from the book Stretching Smarter Stretching Healthier and others. More Legal and Reprint info for site and classes. Entire site is education only. Nothing is medical advice. See your doctor first and use your brain.